Q. What is online giving? A. Online giving (also called electronic giving or e-giving) is an easy, convenient way to support the ministries of Grace Lutheran Church. The benefits of online giving include being able to give from anywhere at a time that is convenient for you, not having to write checks and being able to set up recurring donations so you don’t miss an opportunity to give when you are away from the church. Q. How do automated contributions work? A. No matter which donation method you use, you will be asked to select a payment method, start date, frequency, and contribution amount. On the date(s) scheduled, donation will be processed and deposited into the church bank account. Q. When will my contribution be processed? A. Your contribution will be processed each month on the date(s) you authorize. Q. What can I use to show I made a donation? A. The itemized list of electronic transactions that appears on your bank or credit card statement can be used as proof of your donations. Q. How Safe is electronic giving? A. It is safer than writing checks or carrying cash to church. Secure donation services are provided by Vanco Payment Solutions, LLC. Vanco processes electronic donations for thousands of churches and nonprofit organizations. Q. How can I still participate in the offering during services? 1. Write “I give electronically” on the outside of an envelope and place it in the offering plate. 2. 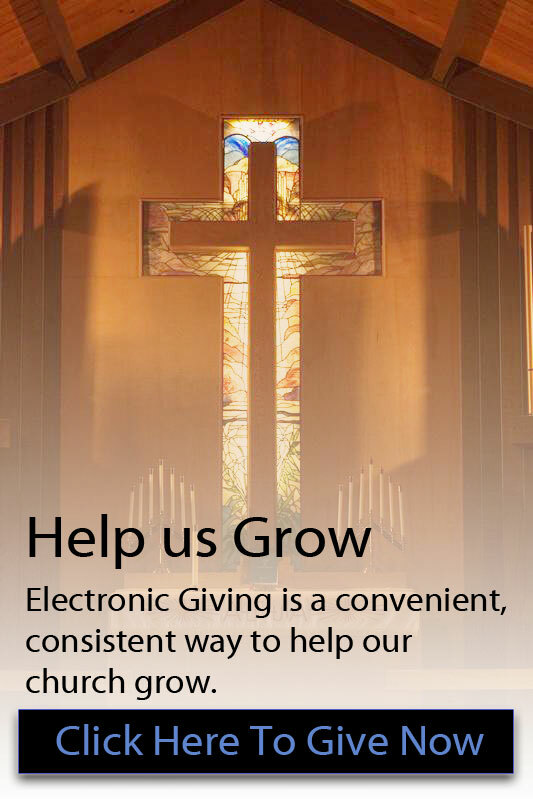 Contact the church office to request “I give electronically” cards to drop in the offering plate. Q. What if I need to cancel or temporarily place my donation on hold? If you have further questions about online giving, please contact financial secretary Thom Hutzell (707) 218-7259 for personal instruction. Thank you for your support of Grace Ministries.